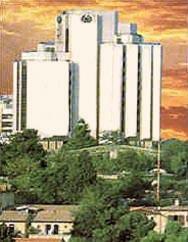 King Solomon, Jerusalem discount hotels and accommodation. History is everywhere to see and relive. Pass through the ancient walls of the Old city and explore exotic markets. Bustle and interest at one corner, vendors cries blending with prays in every language, at one another. Then on the New city of Jerusalem where thriving modern commercial centers suddenly give way to picturesque artists quarters and terraced gardens. And everywhere, the fascinating ethnic mix of the people of Jerusalem is there to welcome you. View photos, room descriptions and make online reservations at King Solomon. Save on room prices at King Solomon, Jerusalem.